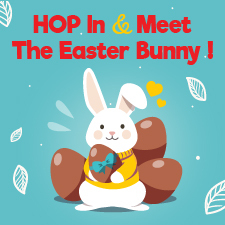 T&Cs * Bunny visiting times are subject to change. Chocolate Easter eggs available while stock lasts. Now is the perfect time to get Fit and Healthy! 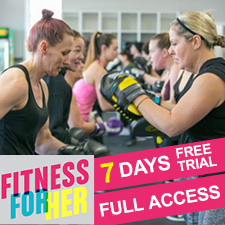 No more excuses because Fitness For Her are giving you a 7 Day FREE Trial with Full Access for 7 days* from the 1st to 20th April 2019. Don’t Miss Out on this opportunity, there are a huge variety of classes available. *New Members Only. Call us on (03) 9360 8000 or feel free to drop in. Pick-up, wash/dry & delivery service at a Laundrette? That’s Amazing? 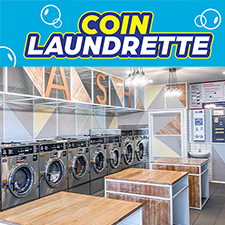 Central Square Coin Laundrette now offer a pick-up, wash/dry & delivery service through Lady Wash & Fold. Super convenient for those of you that are time poor and like to be organised. To book or for more information call Ellen on 9327-8089 or 0401 887 554. Altona Super Clinic now offering cosmetic procedures such as PRP, Microneedling, Antiwrinkle treatment and more under the care of Dr Lucas de Siqueira. Call 9421 2533 for more information. 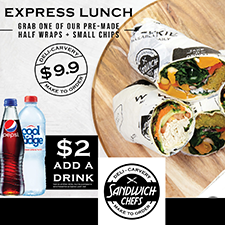 Live life in the fast lane with Sandwich Chefs EXPRESS LUNCH deal! Grab a pre-made half wraps & small chips for $9.90. PLUS, add a drink* for only $2. *Valid on all 375ml drinks, must be purchased in the same transaction. Ends 28 Feb 2019. Images used on this website may be for visual purposes only. Central Square Shopping Centre is not responsible for the honouring of these offers. Copyright © 2018 Central Square Shopping Centre. All rights reserved.